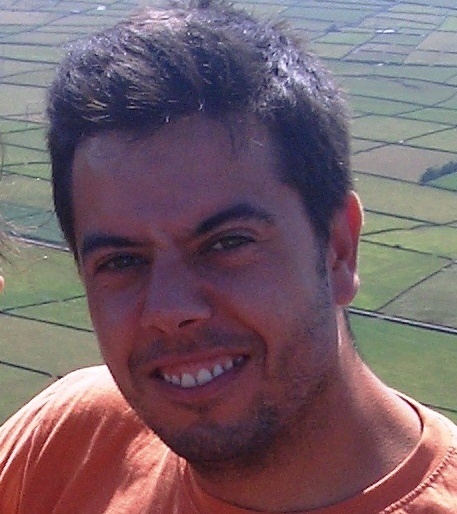 Emanuel Dias Xavier is conducting a Ph.D. in BIOLOGY, since 2012, by the University of Azores (3CBIO), within the IBBC Research Group of cE3c. He is conducting the project “Potential for intensive cultivation of microalgae with high economic, energetic and social value in the Azores - an integrated biotechnological approach”, under the supervision of Ana I. Neto (University of Azores), José M. N. Azevedo (University of Azores) and Alberto Reis (National Laboratory for Energy and Geology). This study aims to identify and isolate native strains of microalgae and enhance the respective biotechnological potential in the production of metabolites with commercial interest, utilizing vertical photobioreactors subjected to the climate conditions of the Azores. Xavier, E.D., Gonçalves, V., Reis, A., Azevedo, J.M.N. & Neto, A.I. (2018) Culture collection of freshwater microalgae from the Azores archipelago: resource for taxonomic and phycoprospecting research. Xavier, E.D., Azevedo, J.M.N., Reis, A. & Neto, A.I. (2017) Screening indigenous microalgae strains for outdoor production of secondary carotenoids and fatty acids. International Journal of Current Multidisciplinary Studies, 3(6), 760-765. Xavier, E.D., Neto, A.I., Reis, A. & Azevedo, J.M.N. (2016) Scoping the potential for outdoor microalgae production in the Azores. Arquipelago. Life and Marine Sciences, 33, 57-70.